The splash pad is open from Memorial Day to Labor day from 11am until 8pm. A splash pad located next to the shelter provides an exciting play experience and a refreshing break from the summer heat. 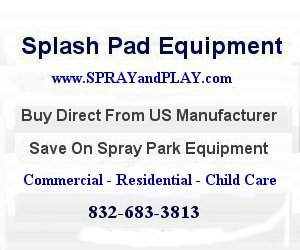 This entry was posted in North Carolina and tagged Conover, North Carolina, splash pad, splash park, spray grounds, waterplay. Bookmark the permalink. Darae, contact Conover City Hall at 828-464-1191. Hours: M-F, 8am to 4:30pm.